We take apart everything Google announced about Android (Oreo Go Edition) and point out the underlying difference between Android Go Edition and Android One Project. So far, entry-level smartphones have been plagued with poor performance which was discouraging for someone shifting to Android from a feature phone. Android versions that were designed to run best on flagship-grade hardware struggled to run on low-end devices smoothly. Android Oreo (Go Edition) is meant to bridge that gap. Essentially, Android Oreo (Go Edition) will be optimised for devices running on 1GB RAM or lower. Apps will open 15 percent faster than earlier Android versions. The OS itself takes up less than half the space than Android Nougat. OEMs can opt for the lightweight version and we expect to see the first crop of Android Oreo (Go Edition) powered entry-level devices early next year. “The "Android Go" project is our initiative to optimise the Android experience for billions of people coming online around the world. Starting with Android 8.1, we're making Android a great platform for entry-level devices in the Android Oreo (Go edition) configuration,” Google wrote in its Android Developers Blog. Reading Google’s intentions with Android Oreo (Go Edition), it sounds a whole lot familiar to the Android One project. Back when it launched, Google CEO Sundar Pichai had said the first Android One phones (made by Micromax, Spice and Karbonn) were designed keeping the Indian user at mind. “We really want to bring in a whole new set of people who have never tried a smartphone before,” Pichai was quoted as saying during the launch. However, sometime in the middle of 2017, Google made amends to the Android One Program making a pivot towards showcasing the best Android had to offer. The program now transcends the earlier price barrier of entry-level smartphones. High-end phones like the HTC U11 Life, mid-rangers like the Moto X4 and Xiaomi’s budget Mi A1 are all under the Android One Program. With Android One getting a promotion, Google’s efforts towards entry-level phones faced a void, which is essentially filled by the Android Go project. The Android Go project will mould the operating system to the hardware instead of the other way round. “What we’ve tried to do is create a configuration of Android that is aware that it's running on entry level hardware with less memory,” Sameer Samat, Vice President of Android and Google Play told Digit. The origin of the idea can be traced back to Android Kitkat’s Project Svelte days. Back in Android 5.0, Google addressed one of the biggest problems Android had. Every version upgrade was made to run buttery smooth, at the expense of more powerful hardware. Project Svelte was born to make Android run across low-end to high-end hardware. The engineers who developed Project Svelte were given crippled Nexus 4 smartphones where the RAM was cut to 512MB, the screen resolution dialled down and two out of four CPU cores disabled. The challenge was to make Android and apps run smooth on it. That challenge has essentially transformed into Android Oreo (Go Edition) launched yesterday. It is the same code as that of Android Oreo, which actually dates back to Android KitKat where configuration flags like “isLowRamDevice” and “getMemoryClass” were used to determine memory constraints while running apps. Developers can scale down memory use based on this. For instance, developers can use lower resolution images when a low memory device is detected. “In Kitkat, we did a project called Svelte. Svelte has things in it like IsLowRam as a flag. So the OS uses that flag itself, as do the apps, to make certain adjustments. 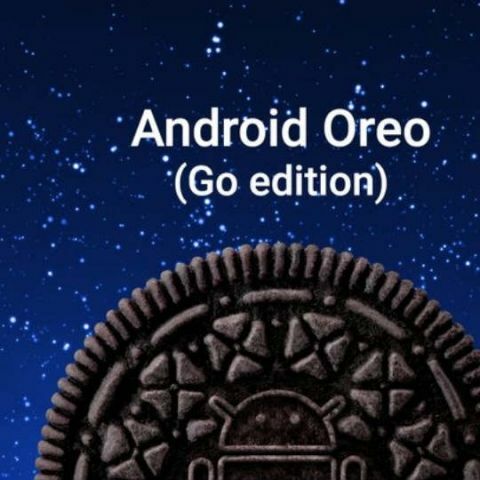 So once the factory is done building the device with AOSP (Android Open Source Project), those things (adjustments) are loaded and when you get the device, it already knows all these things,” Samat said while elaborating on the Android Oreo (Go Edition) OS. There are other small nitty gritties that make Android run smooth on low-end devices. “The recents menu on the Pixel 2 shows screenshots of every single app you were using. That takes memory. On an entry-level device, the recents button only shows me two recents at a time on the screen,” Samath added. Android Oreo (Go Edition), apart from being a lightweight operating system, is also propped up by Google’s suite of lightweight apps called Go apps. This includes Go versions of all Google apps like Google Go, Maps Go, Gmail Go, Assistant Go, Files Go and more. The footprints of the Go apps is a lot less, with 50 percent less storage space than the regular versions. YouTube Go and Chrome come with in-built data saving features while the Files Go app allows peer-to-peer file transfer without using data. The Google Go app is optimised for a tap-friendly interface with minimal typing. The Play Store itself will be optimised to surface Go apps for low-end phones with a section dedicated to light apps. Google has even given some guidelines on making lightweight apps in its “Building for Billions” initiative. In contrast to the Android Go project, Android One is a program to bring Google-certified devices in the market that can be considered beacons for others to follow. Even though Android One was indeed aimed for low-end devices back when it launched in 2014, it isn’t necessarily the case today. You can consider the Android One Programme to be similar to Google’s Nexus project which was retired after the Pixel was launched. Just like how Google worked with OEMs to highlight and showcase the latest and the best of Android, Android One does the same by ensuring certain guidelines are followed by OEMs. Android One phones need to provide timely security updates, provide pure stock Android, provide at least two Android version upgrades and come with Google Play Protect. On the contrary, Android Go Edition updates will be handled the same way it was being handled previously. "We started Go Edition with Oreo but we plan to continue with Go Edition for future versions too. It's up to the OEM to get you the update or a carrier in case of carrier locked devices," Samat confirmed the Go Edition project will work the same way as the regular versions. “Android One is not a different code, it's a programme that partners sign up for where the partner agrees to certain experiences so Android One is independent of an Operating system,” Samat said while confirming the difference between the two projects. The recent crop of Android One phones have each showcased the newest strides Google has made. For instance, Project Fi in the Moto X4, the squeezable edges in the HTC U11 Life and dual cameras in the Xiaomi Mi A1 (review). So, while the Android One program is a set of guidelines to set a benchmark as to what an Android device should be, the Android Go project is to get more users onboard the Android platform by offering a seamless transition to entry-level devices. When i will get Digit current edition if i nook online today?